Classic St Mawes features a slim case, an eggshell-white dial and a brown leather strap made from genuine Italian leather. Paired here with the ruby red Roselyn NATO strap. 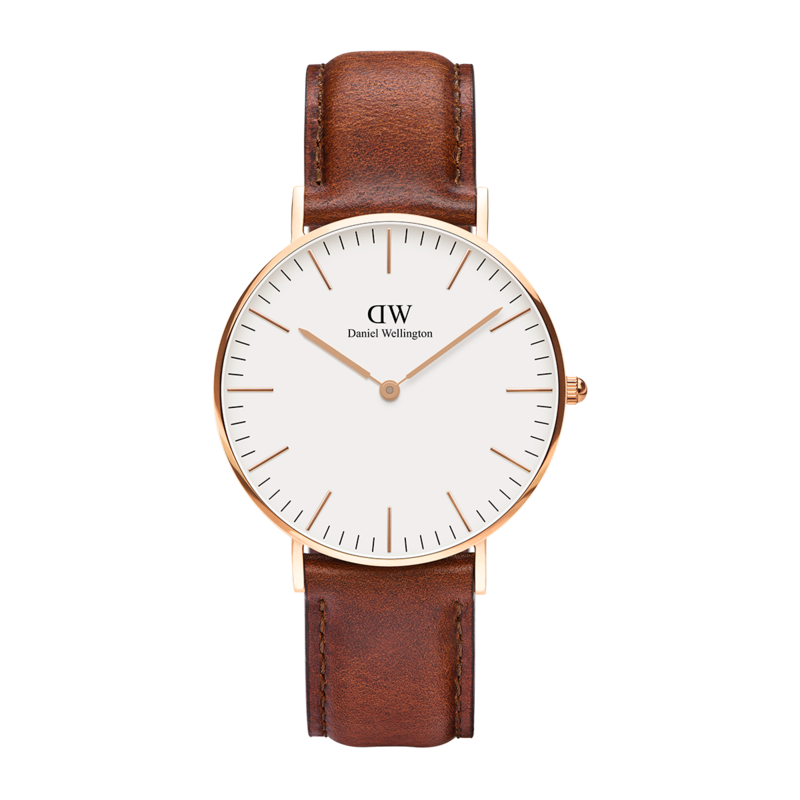 Your purchase will be delivered in one of our specially designed boxes with gold debossed Daniel Wellington logo.